Aronia extract from Swiss aronia berries. 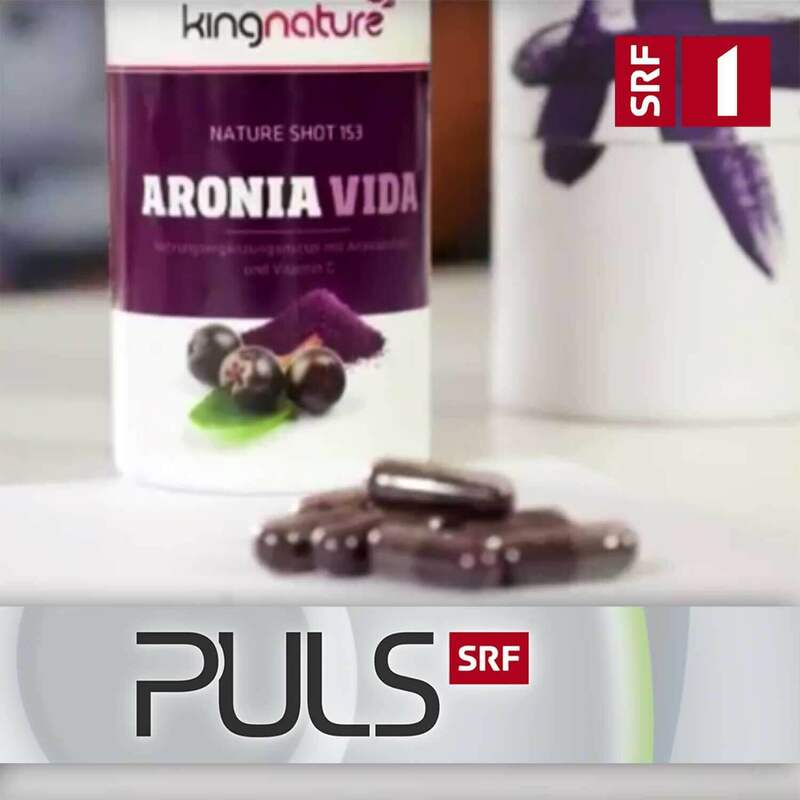 100 capsules with 500 mg each of aronia extract and vitamin C.
Aronia berries have a remarkable content of OPC (= Oligomeric Proanthocyanidins) and Polyphenols in comparison with other fruits. With its vitamin C ingredient, Aronia Vida helps protect cells from oxidative stress and reduces fatigue and fatigue. 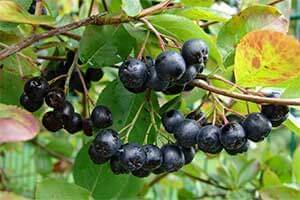 The Aronia plant is a small bush that grows up to 1-2 meters (4-7 feet), it flourishes well in moderate and northern climate and it is extremely robust. 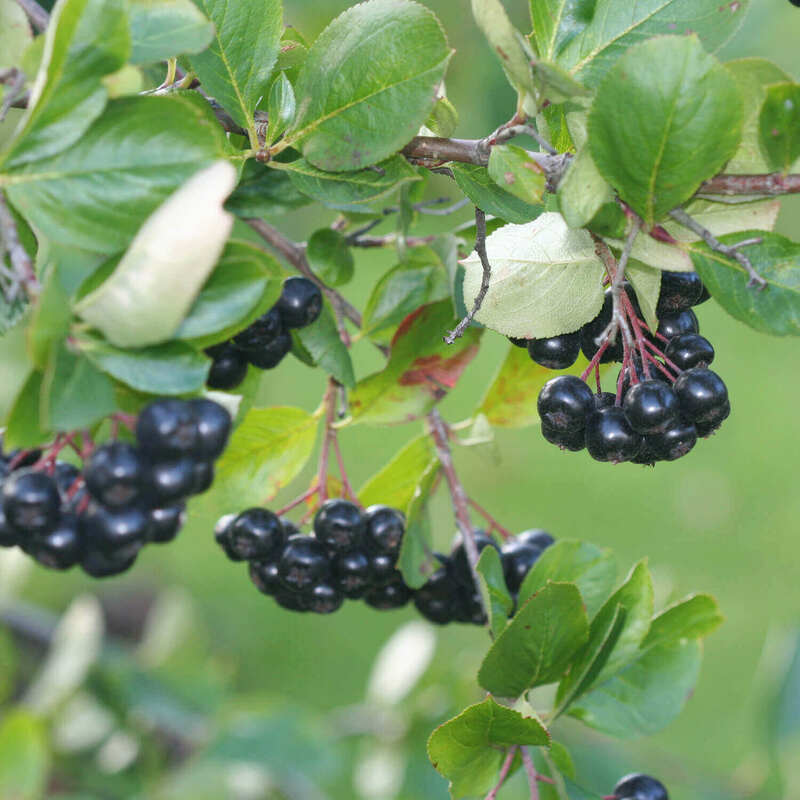 The berries grow in umbels and look similar to the blue elder. 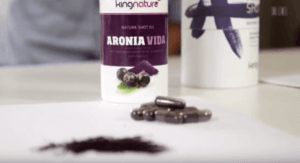 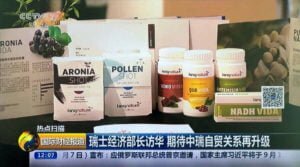 Where are the Aronia Berries in Aronia Shot and Aronia Vida grown? 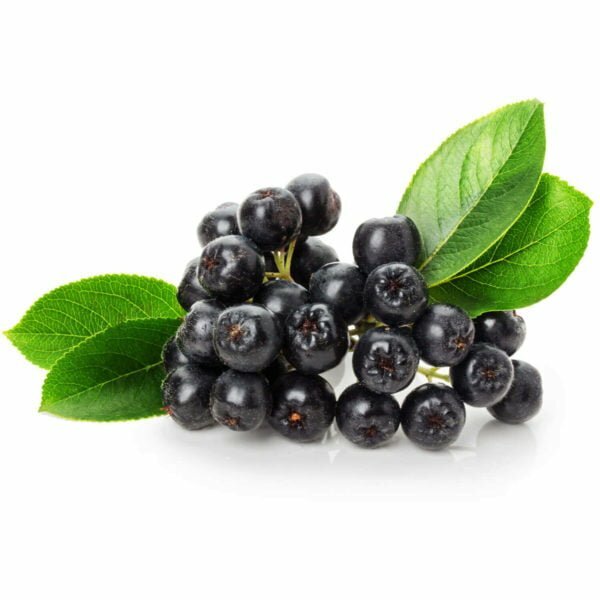 Please don’t confuse our extract with that of ground Aronia marc which contains much fewer active agents and is therefore much cheaper. 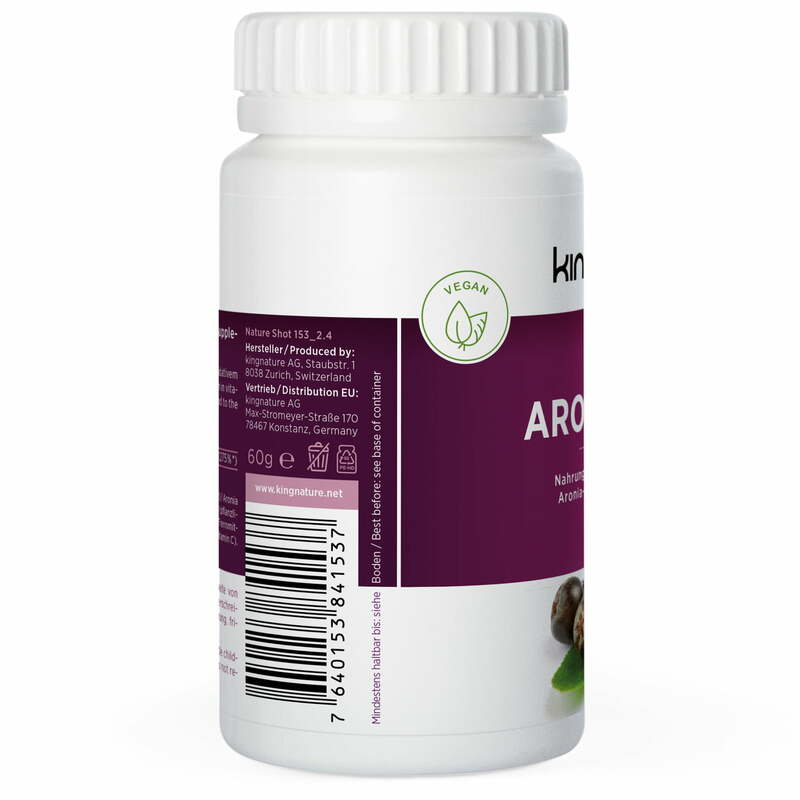 Aronia helped me a lot! 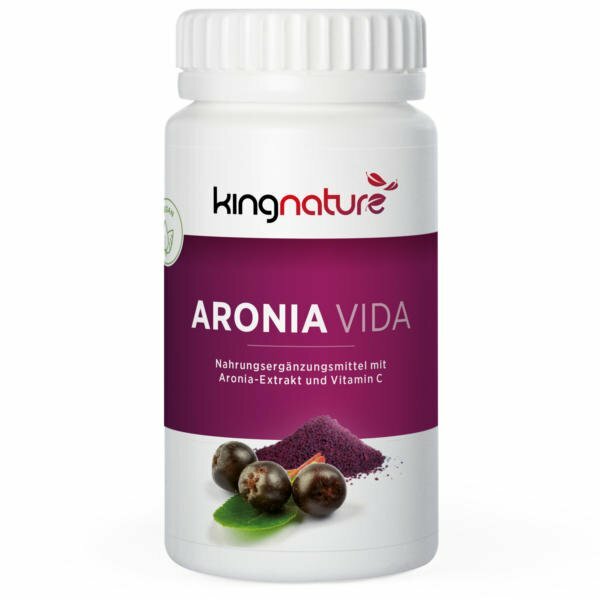 Aronia Vida contains 100 capsules of 500 mg each of aronia berry extract and vitamin C. Net content 60g. 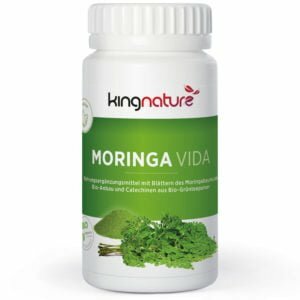 We exclusively use vegi capsules made of vegetable material (HPMC) containing no gelatine. Aronia Vida availability : in stock. Aronia Vida is also available at your pharmacy or drugstore (Pharmacode 6247233). 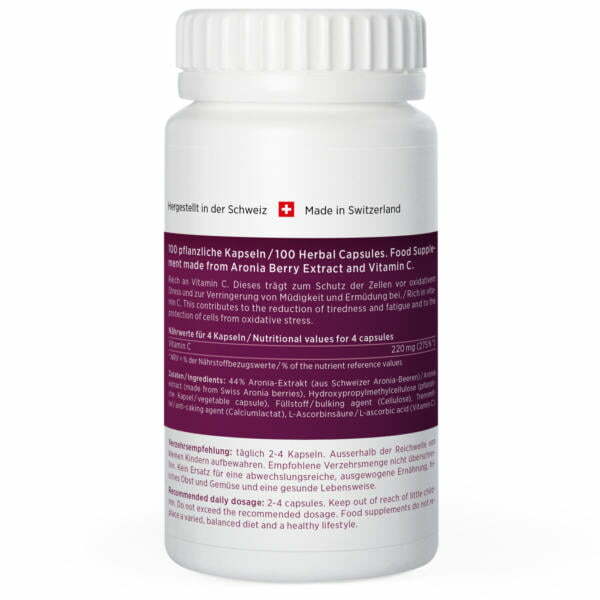 Buy Vitamin K2 capsules online now: We also accept Visa / Master Card and Postcard. 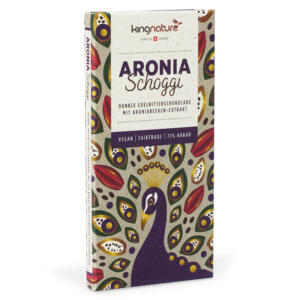 Buy Aronia Chocolate now – online: We accept Visa / Mastercard and Postcard. 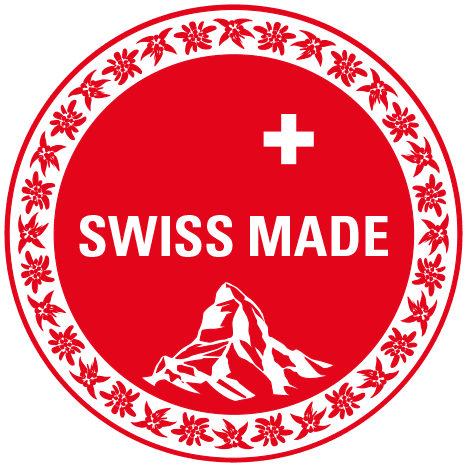 Order exceeding CHF 120.– are sent free of charge within Switzerland EU-Customers please use our EU-Shop.